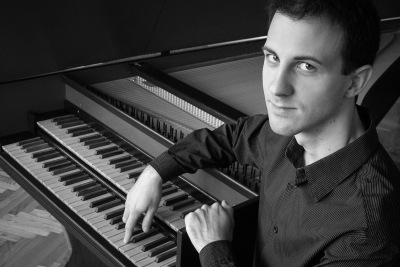 Winner of the Broadwood Harpsichord Competition (London), Tournoi International de Musique (Paris) and Concorso Internazionale Wanda Landowska (Ruvo di Puglia), Dušan maintains a lively concert activity that has brought him to France, England, Italy, the Netherlands, Switzerland, Serbia, Bosnia and Slovenia. Due to his long-standing interest in vocal music, he has worked extensively as a piano accompanist and currently holds a position at the singing department of the Faculty of Arts in Kragujevac. He also works for the Belgrade Baroque Academy led by contralto Marijana Mijanović and conductor Predrag Gosta.